Emily Whitmore scored her first UFC victory Saturday. She managed to defeat Jamie Moyle via decision. Still it was a bittersweet experience for Whitmore as Moyle was cornered by fellow Xtreme Couture fighter Vinny Magalhaes. Whitmire calledVinny a piece of crap after. 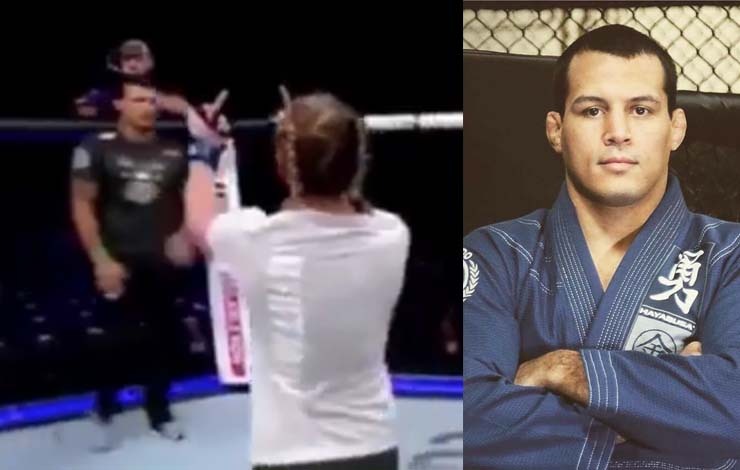 “This woman got angry because I train at Xtreme and was in Jamie’s corner,” Magalhaes said, “But Jamie is my student and my purple belt, and I don’t even see this girl training at Xtreme. I have zero training relationship with her. I even told one of her coaches that I would be in Jamie’s corner. He didn’t deliver the message, it’s not my fault. If you want to develop old school, tough Jiu-Jitsu, check out world champion Bernardo Faria. He has used the over under pass, the half guard, the deep half guard, and good old fashioned wrestling to beat some of the top competitors in the world time and time again. 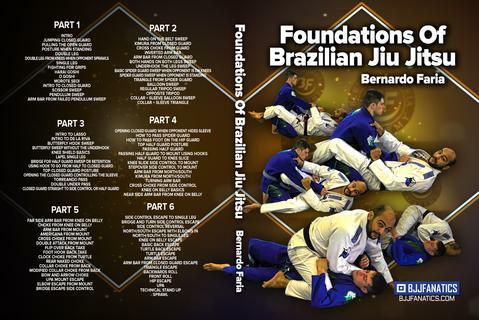 If you want to learn some techniques from him check out his new DVD set “Foundation of Brazilian Jiu Jitsu“ which is also available as a 6 part digital download. This set is one of the best examples of the fundamentals of bjj.